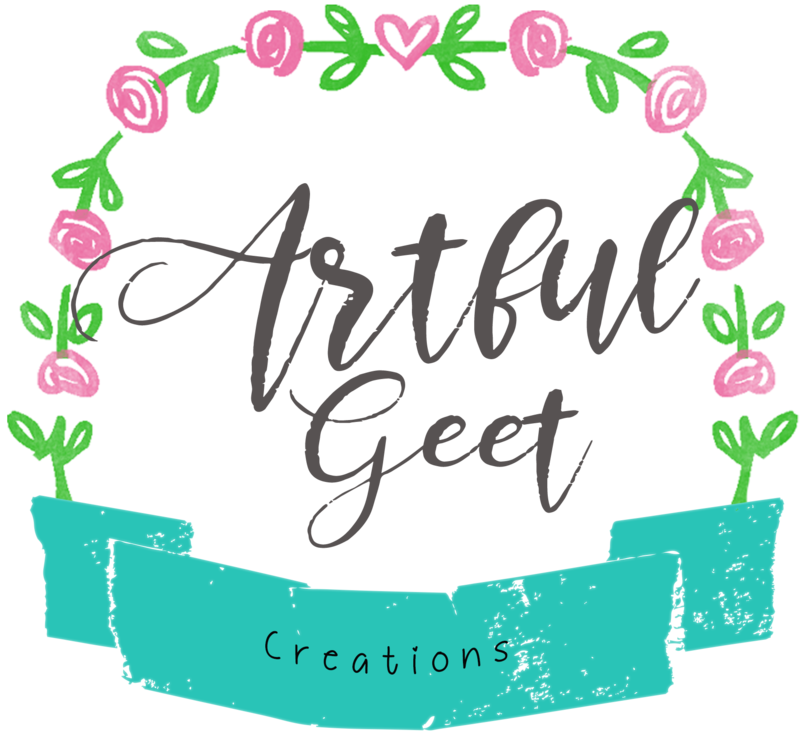 Theme Color : All shades and tints of Blue. When the ribbon is removed, it reveals the whole of the front cover of the book. 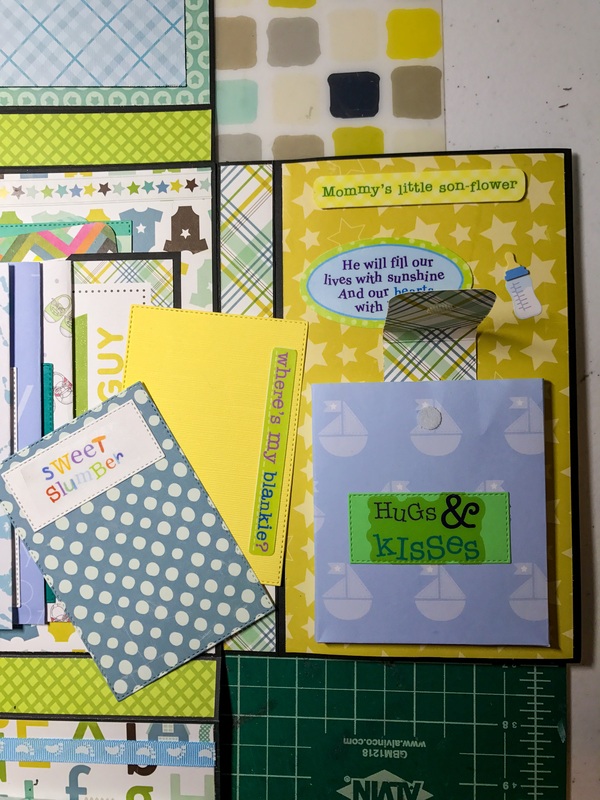 I have kept the front, simple and sweet with one sentiment “sweet bundle” having a scalloped border edge. This is the outside of the bottom flap of the folio book. 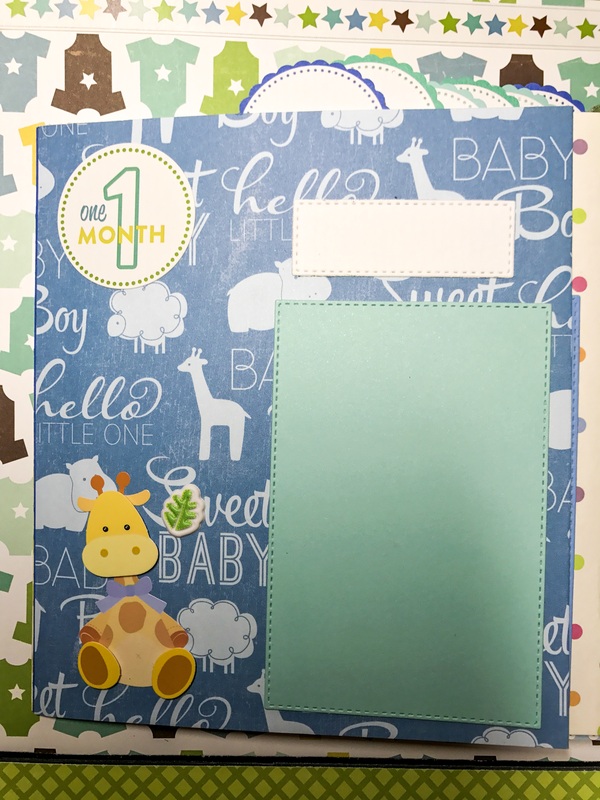 You have a measuring tape indicating the baby stats are present on the inside of this flap. 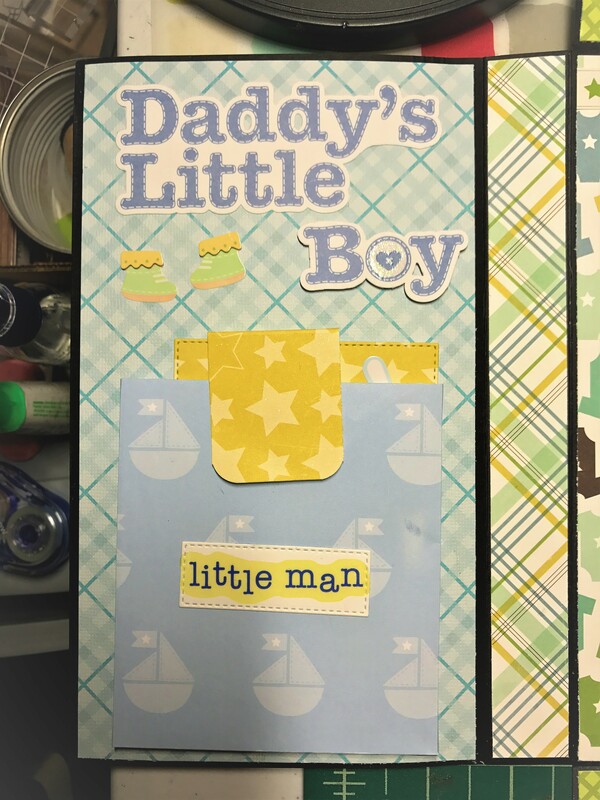 I have left some space for the baby’s name to go along with another card for writing something about him. 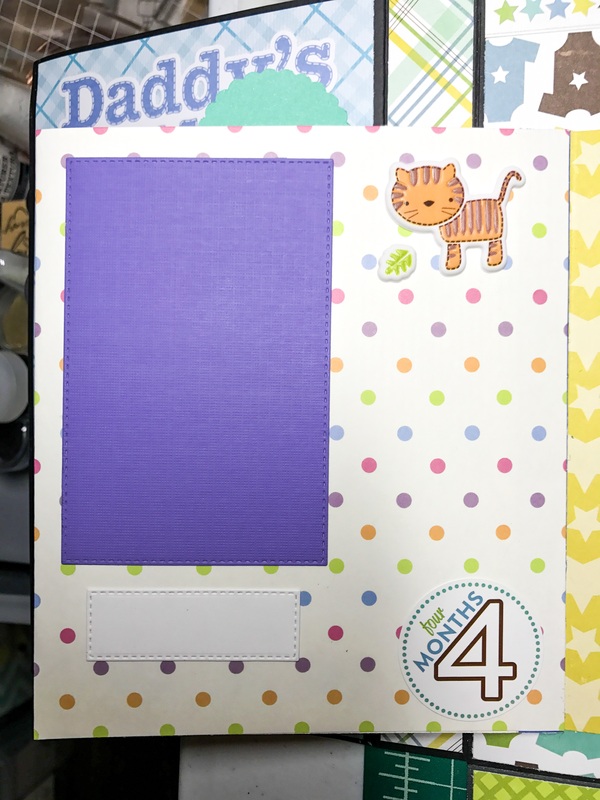 The Top flap has 6 Cards/photo mats. This is the outside of the two side flaps which forms the middle section of the folio. 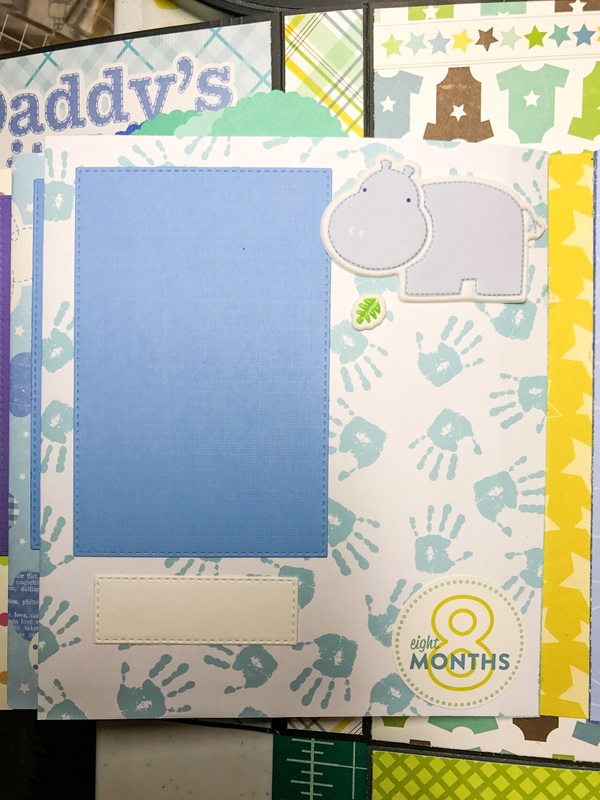 The outside flaps have two normal pockets which holds letters to his parents while the inside is a box type pockets containing more cards and photo mats. The inside of the side flaps is shown below. 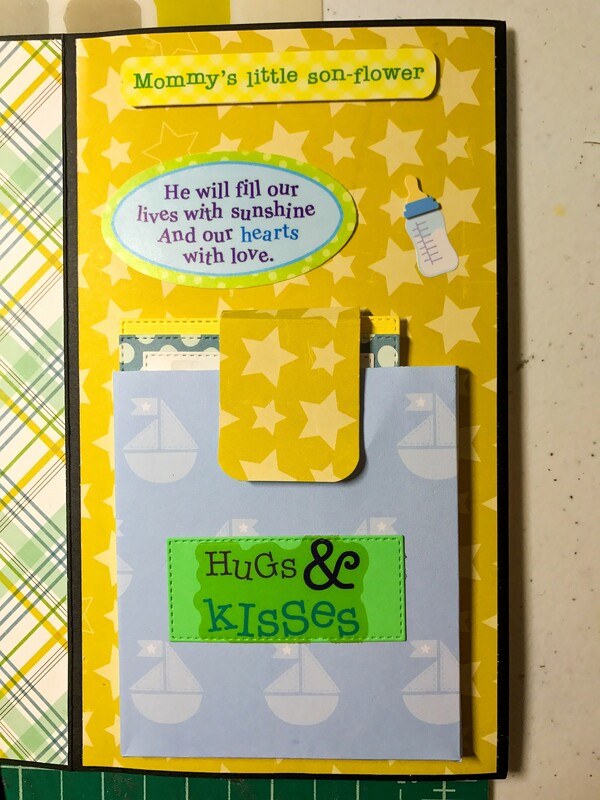 The inside of the side flaps have box type pockets and each pocket holds two cards. Click on the image to view an enlarged pic. Now let’s proceed to the inside of the Bottom flap. 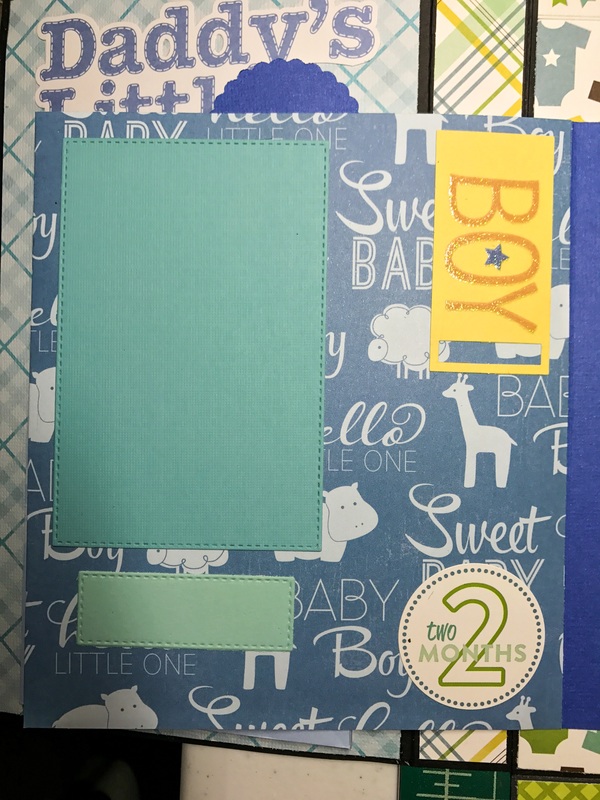 The bottom flap has a baby stats card and an accordion pocket holding 5 cards/photo mats. 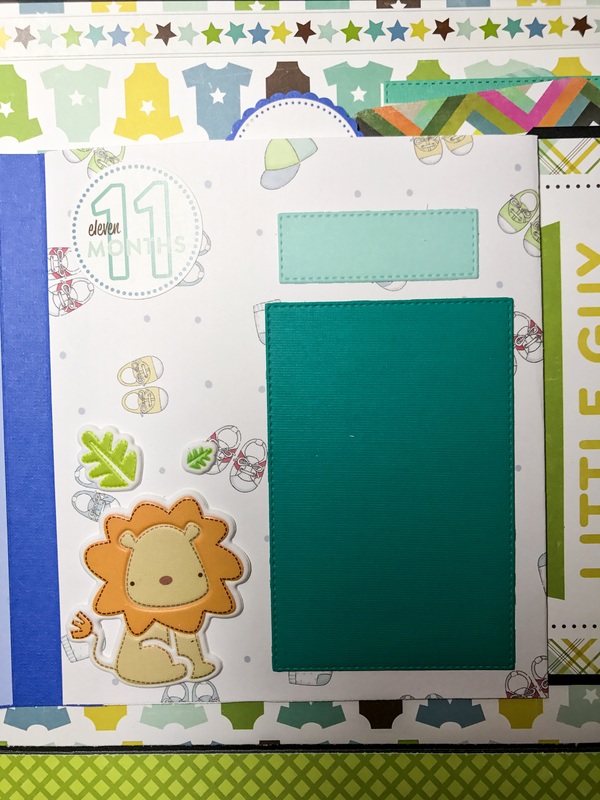 The below pic shows the folio with all 4 sides opened up. 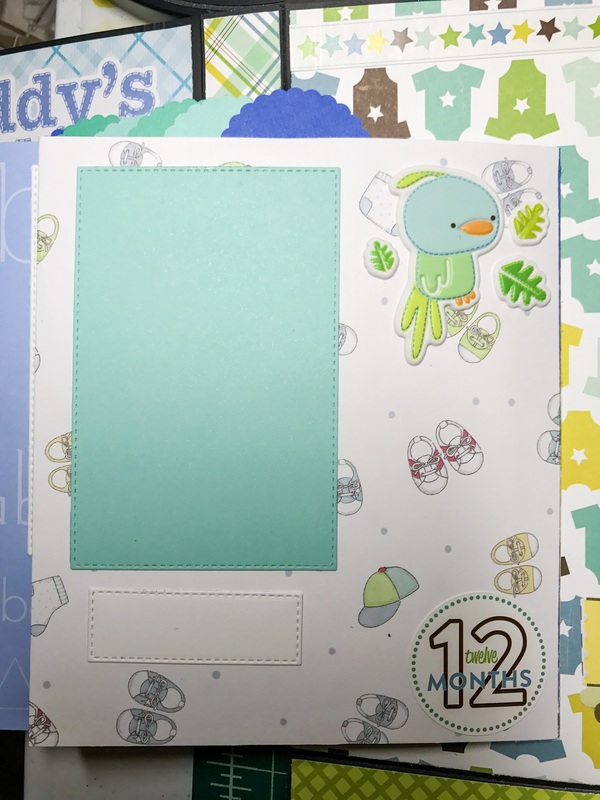 The most important section of the folio is the 12 months album which lies in the center of all the flaps. 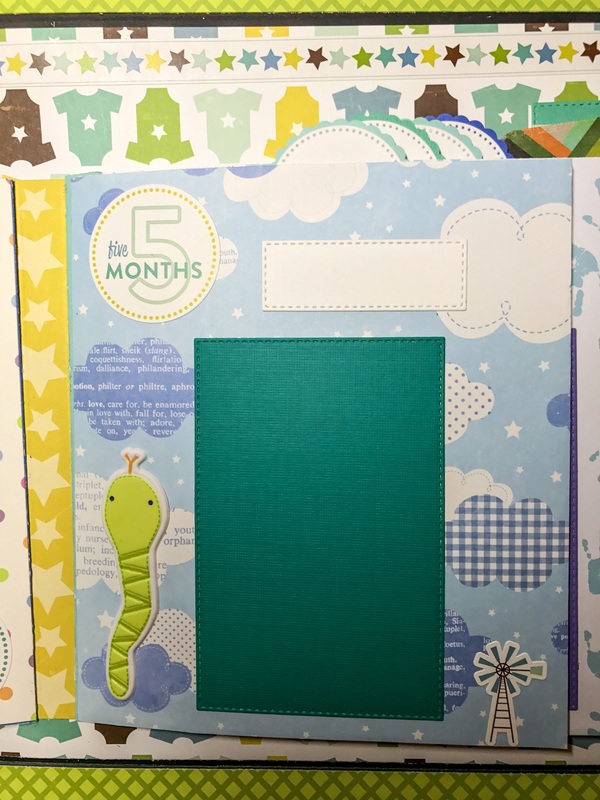 There are 6 page pockets. 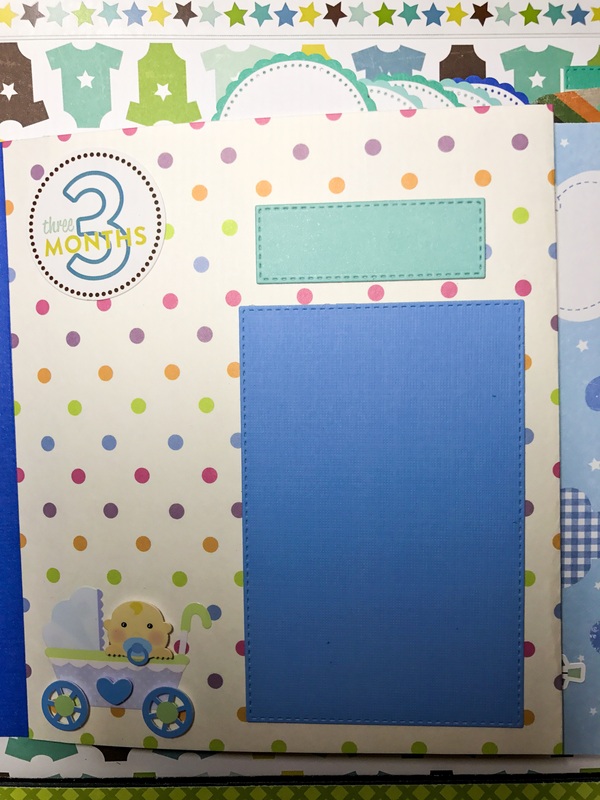 Each Page holds two months. 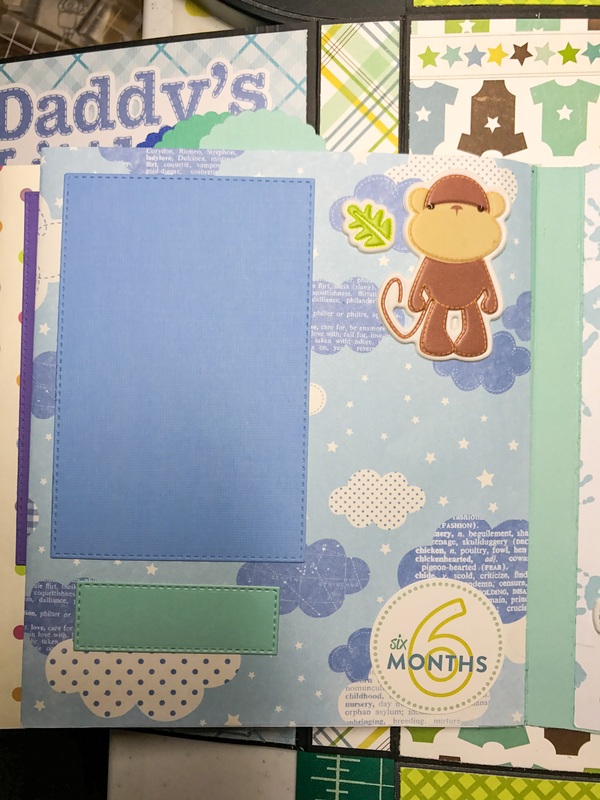 The two sides of the page are designed to hold a pull up tab card which in turn can hold more messages and photos of the baby. 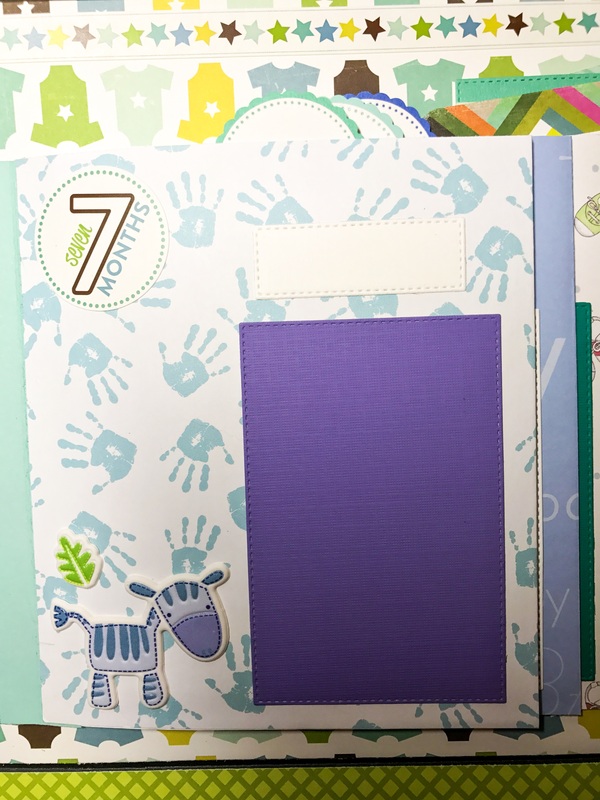 There are in total 6 pull up tab cards. 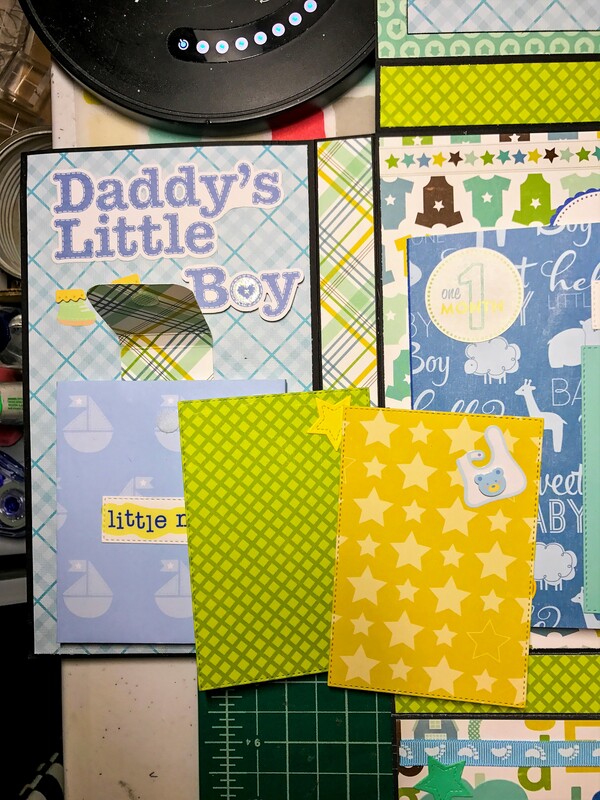 Behind the album, you have one more flap with a written sentiment “Our Sweet & Handsome lil guy” holding 3 more cards to write messages for the baby. 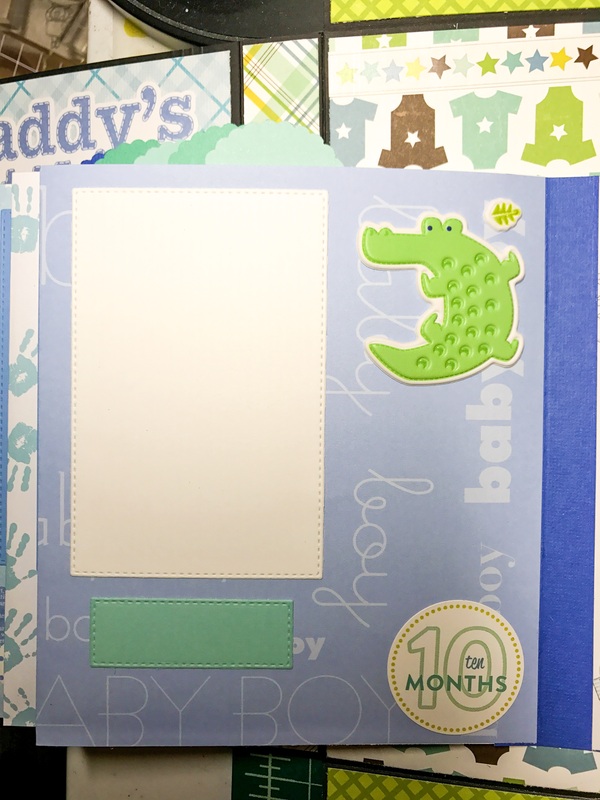 The backside of the folio is left simple. 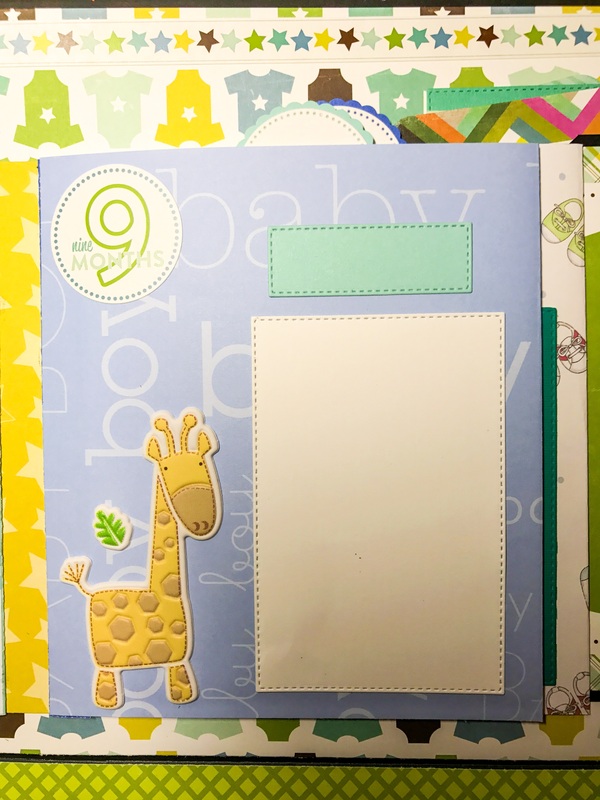 I will soon be making a baby girl folio too but with a different layout.